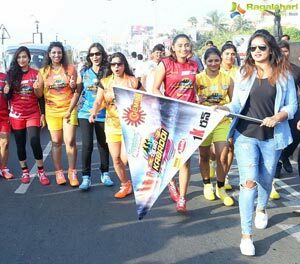 Vizag, November 27th, 2017: The 1K Run hosted by Gemini TV, to kick start the exciting & colourful Kirrakk Kabaddi Season-2 @ Vizag, Small screen stars was flagged off at Pandurangapuram Circle, Beach Road, Vizag, on Monday. 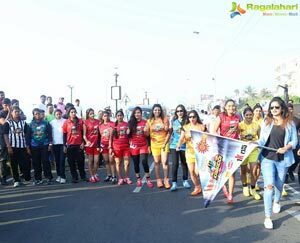 The citizens of Vizag joined a galaxy of small screen Stars in the Run. The Run concluded at the Kursura Submarine Museum, Beach Road, Vizag. 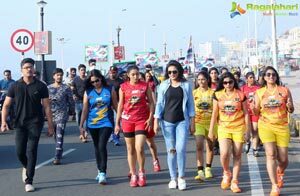 The run was followed later in the day by 50 gorgeous female TV stars from Telugu Television industry, for the first time under one roof, as part of the five teams which clashed for the Title “KIRRAKK KABADDI", a premier initiative of Gemini Television, at the Swarna Bharathi Indoor Stadium, Vizag. 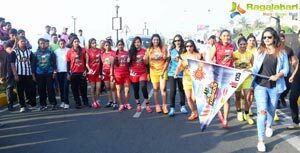 The event galvanised the sport of Kabaddi and transformed it in to an aspirational game for the actress and fans alike. KIRRAKK KABADDI, was an astounding success in its first season and is all set to make its much-awaited return for the second season. It will be ready to hit the Television this season as a biweekly, on every Saturday & Sunday, from 9:30 pm to 10.30 pm. 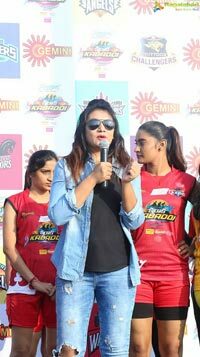 The 5 Teams that battled out in the “Kirrakk Kabaddi" show at Vizag were, Godavari Thunders; Kurnool Queens; Nellore Nerajanalu; Chittoor Challengers and Nizam Poris. Each team has a Mentor and Captain, along with a male actor to cheer their teams. 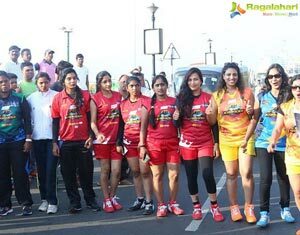 Kurnool Queens : Mentor: Asmitha, Captain: Prashanthi, Neha Choudary, Nandini, Shilpa Palaparthy, Anu Sri, Mallika, Mounika. R, Soumya & Sri Nidhi. Nellore Nerajanalu : Mentor: Bhavana, Captain: Lahari, Neethu Narayana, Priya Bharadwaj, Tripura, Archana, Divya, Jaanbi, Nihasini Verma & Riya Prabhu. 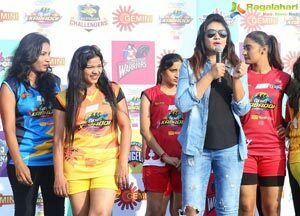 Chittoor Challengers : Mentor: Sujitha; Captain: Sushma Kiran, Veena, Mahathi, Shravya Sruthi, Laxmi Priya, Vijaya, Reshmi, Sushma & Pavani.